Welcome to Day one of my 40 days of Lent devotions. If you are interested in what Lent is all about check it out here. Have you ever stood next to a seven-foot tall basketball player? Or just a very tall person? If you are that very tall person, have you ever stood next to a very short person? I’m only 5’3.5″ and yes the half-inch is super important when you barely exceed five feet. So any time I meet someone taller than six-foot-two I am very aware of two things. That person is very tall. Something similar ought to happen when we learn about God’s character. He is so much better and more than we are that we ought to know two very important things. 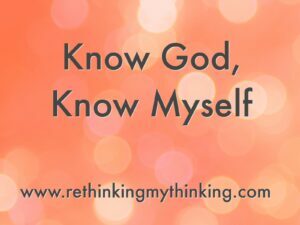 So the first several devotions for this lent season I want to focus on who God is and reflect on what that means about ourselves. I am who I am in Hebrew doesn’t just mean like Popeye meant “you can’t change me so don’t try.” It mean I will be who I will be…I always have been and always will be. I am eternal. I do not change. I am self-existent, meaning I don’t need anyone to create me or sustain me. I am dependent on nothing or no one. But we humans? We are born dependent: we must eat, drink, and sleep. We must have air to breathe. And at some point our hearts will stop beating. We grow and change, we are becoming, but we never arrive. And yet God loves us enough He sent His Son to die for us. He longs to give us abundant life through faith and living out our gratitude and love in obedience to God. Doesn’t that just thrill you heart and shake you to the core? Thank You God for being I AM WHO I AM. Thank You for being self-existent and yet loving me enough to create me and die for me. I confess I am in need of You for life, to do good, to love well. Show me where I am harboring sin in my life. Forgive me for failing to love you and others well. Fill me with Your Spirit that I may love You by living in a grateful obedient life. In Jesus’ Name I pray Amen. Praising GOD for WHO HE is this morning! HE is THE Creator. I am not! Thank you Karen. Yes He is such a good Creator and I am not.